Travelling is fun, but travelling to skate is much, much more fun. Especially when it comes to places with relative very little skate exposure and not too much information about what to expect when you go skating there. 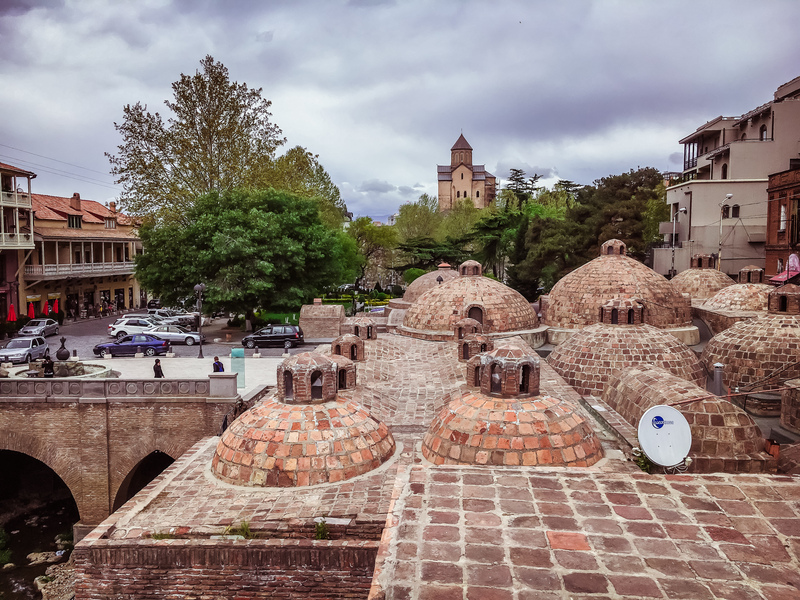 One of such places is Georgia, a beautiful country in the Caucasus region, where European, Asian and Middle-East influences meet each other. 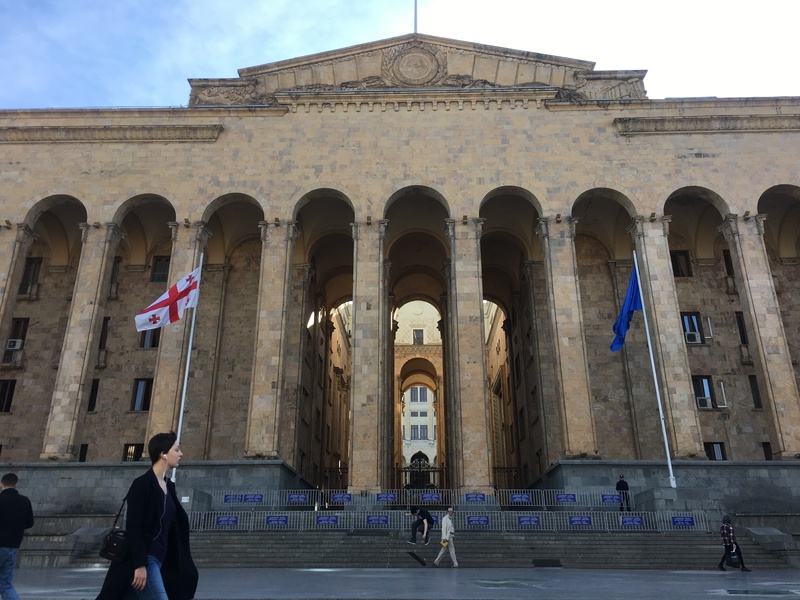 The capital of Georgia is Tbilisi, an amazing city with a population of 1,1 million inhabitants. Although it’s been already a while ago when I visited that place, there still isn’t too much information about it on internet as far as stuff that a skater would like to know. Are there good spots? Do you get kicked out or get tickets for skating? Is it easy to communicate with people? Is it safe? How are the locals? Is it good for chilling? Is it ok to have a beer in public? Is it expensive? These, and many more questions usual pop up before you start to plan a skatetrip. 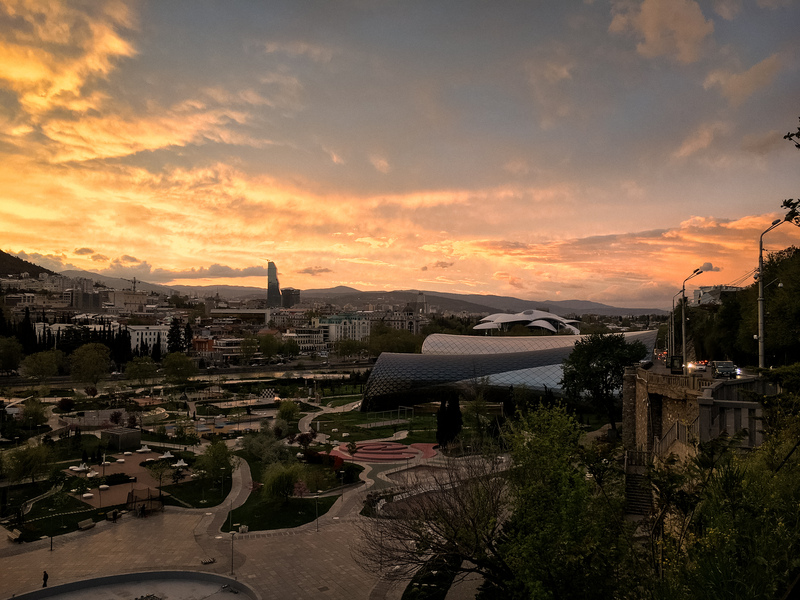 Tbilisi has a good amount of very decent skatespots. You don’t even have to get creative to find stuff to skate. 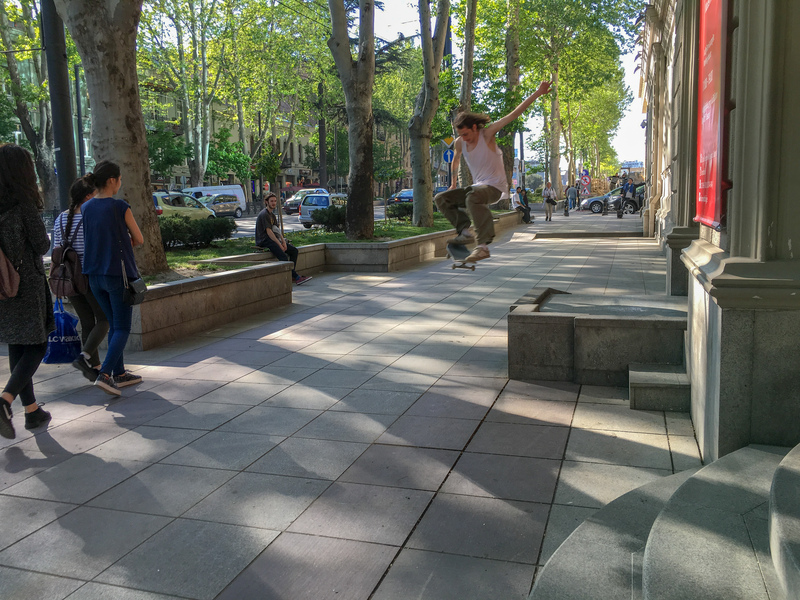 The main Rustaveli Avenue has tons of granite stuff to skate, based on some really solid and smooth sidewalks. This is a good street to cruise along, and if you check out some of its sidestreets, then you’ll find even more spots. Plus, most sidewalks in the whole city are either “ok to roll on”, or very pleasant for skateboarding. The city is full of truly amazing architecture. It has cool old stuff from the middle ages, beautiful secession-style districts and houses, and quite some brutalist stuff across the city. 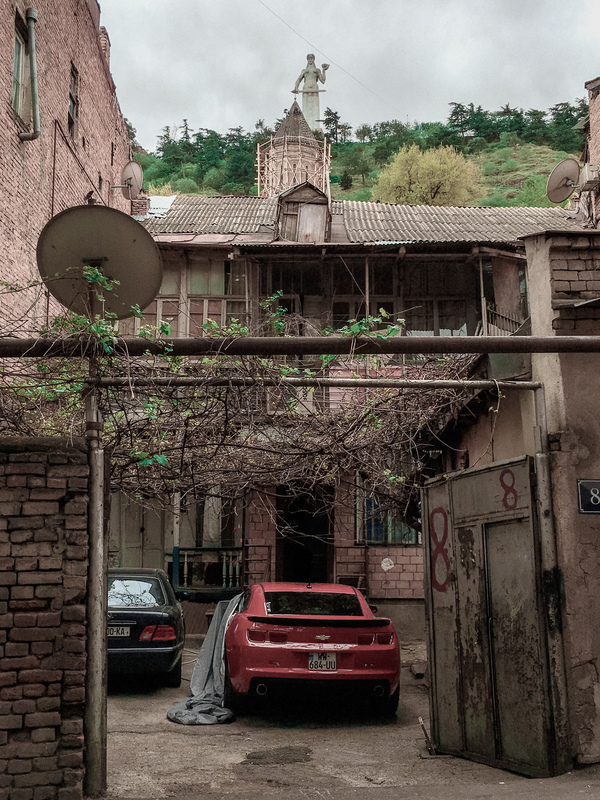 Some of the buildings are in a great shape, some are newly-build, and some need an urgent renovation. This mix creates a great vibe, so it’s already awesome just to skate across the city and see so many different and inspiring stuff. Plus, you’ll find on your way plenty of (untouched) stuff to skate. This city is a fascinating environment to skate in. Most skaters meet at the skatepark in the central located Dedaena Park near the river. 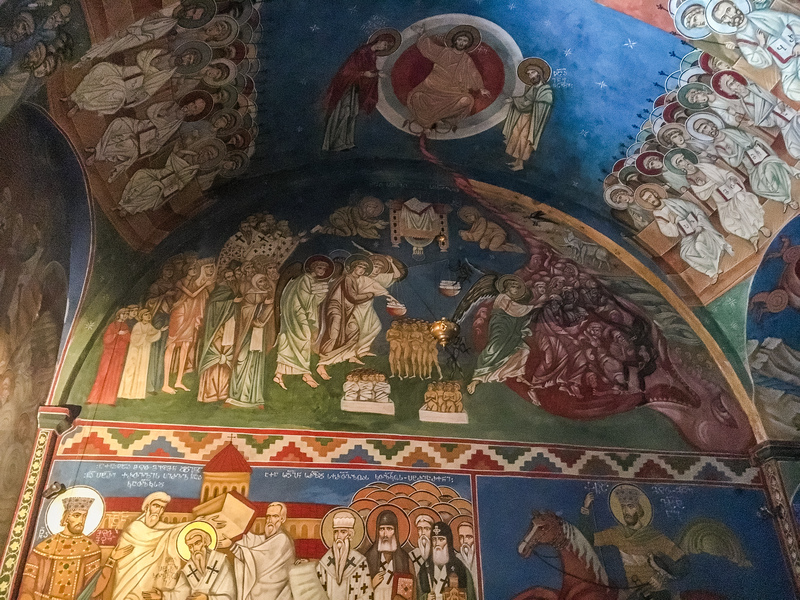 There is a good vibe, and there is still a feeling of freshness – what some scenes sart to lack nowadays. 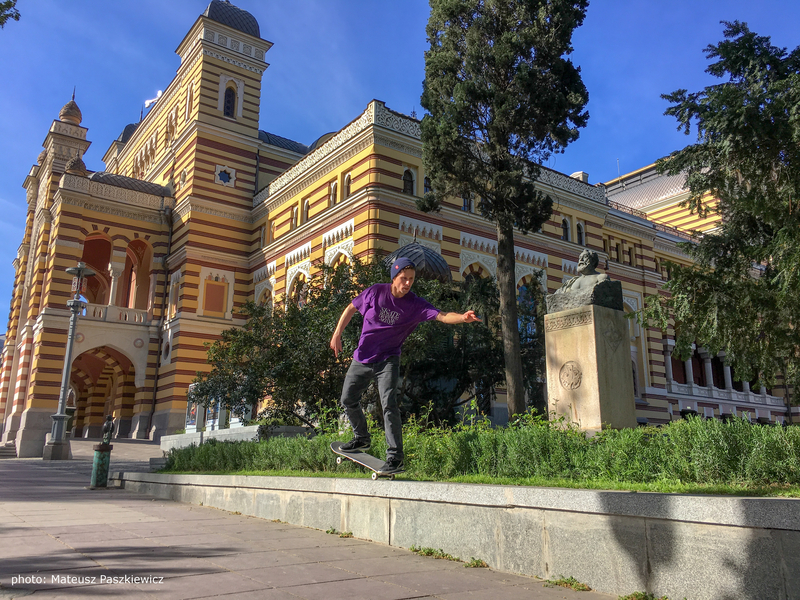 In Tbilisi the skaters are interested, curious, open-minded and happy to get to know you. Communicative, English-speaking and ready to help or hook-up for streetskating. There was such a good energy around! If you’re looking for a skateshop in Tbilisi, then Margo Skateshop is your choice. A skater-owned shop – the way it should be! 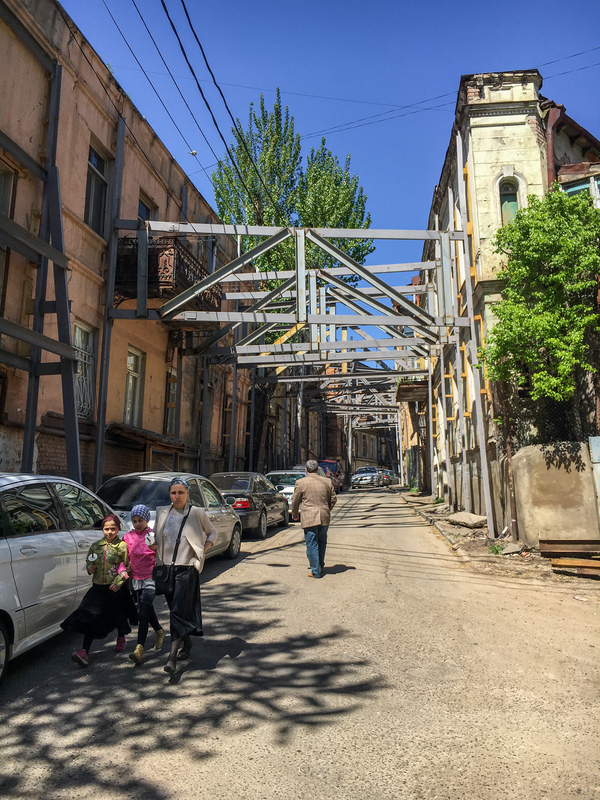 It’s located in the Fabrika Tbilisi complex, where a lot of other cool stuff is going on. Cops and most people are pretty mellow on skateboarding, we had a session straight in front of the parliament building while a guard was watching us. One of the other spots was even in front of a police station. 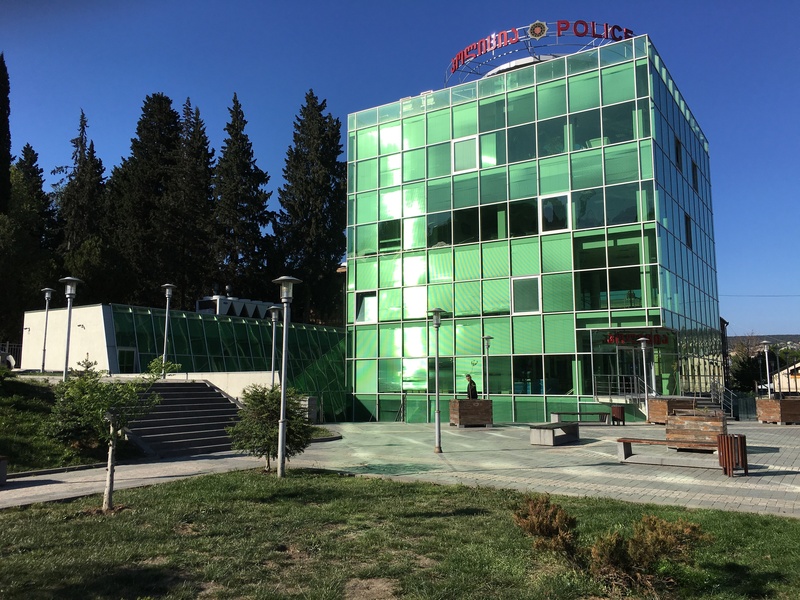 By the way, we saw a lot of police stations built in large part of transparent materials, so you can see cops working inside – in order to build trust in the police and create a feeling of transparency. Pretty interesting. 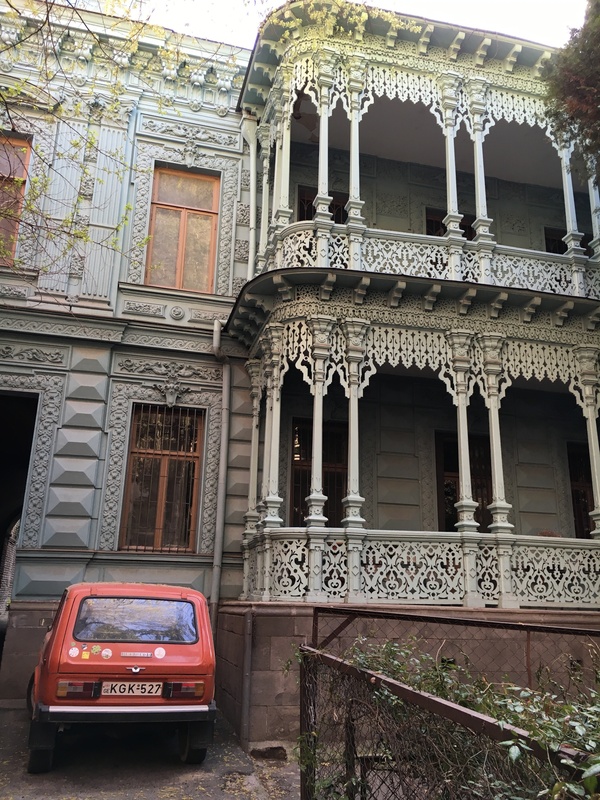 As far as safety: like everywhere, you have to pay attention to your belongings, but I would say I found Tbilisi much safer than a lot of places I have visited. Most people are mellow, maybe besides some of the obtrusive beggers, who didn’t look like they were Georgian ancestors. If you happen to drive in Georgia, then cops are really strict, and what you see on the streets is that they constantly pull over cars. On the other hand, the locals told me that a lot of people break traffic rules, so the police tries to stop that. But in the general pretty busy and chaotic traffic (it felt like driving in a mix of Napels and Shanghai) it was hard to see what was wrong that the pulled over drivers were doing. In the beginning traffic can feel crazy, but it’s more a matter of getting into the flow of it.